Rate and review Jurado & Farshchian, P.L. in North Miami, FL, United States! 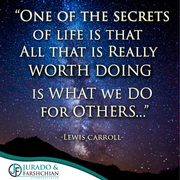 Share your experiences at Jurado & Farshchian, P.L. with your friends or discover more Lawyers in North Miami, FL, United States.